The Korean eyewear brand, Gentle Monster, recently opened its first South East Asian outlet in the form of a dream-like Singaporean retreat. The cutting-edge eyewear brand has become well-known for its avant garde eyewear designs and gallery-reminiscent storefronts, which are worth a visit for the aesthetic alone. Each display is a curated masterpiece centered around a different theme. Since the company’s inception in 2011 by Hankook Kim in Seoul, South Korea, the eyewear brand has expanded to fifteen flagship stores worldwide, located everywhere from Los Angeles to Singapore. The Singapore branch in the trendy ION Orchard mall is a major development for the company, which is known for high-end statement eyewear and celebrity clientele. The company made waves when K-Pop celebrities started wearing them, and then the brand’s cool-factor spread like wildfire and expanded not just in Asia, but globally. Each Gentle Monster store is centered around a different topic and set up as an art installation inside a gallery. The Singapore location is named “Samsara,” which has a literal translation of “cycle of life” in sanskrit. Similarly, the Los Angeles branch was converted to a zen space with the theme of “harvest,” inspired by the spirit of harvesting from Asian traditions. 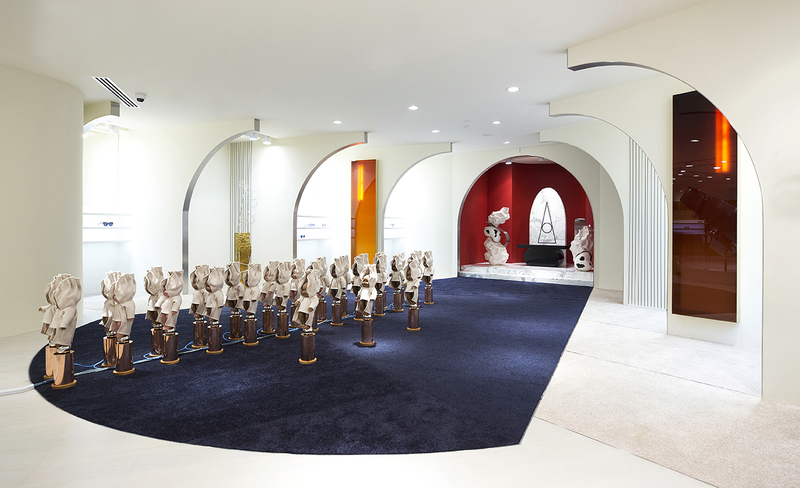 The theme of Gentle Monster’s Singapore store was inspired by Ron Fricke’s 2012 documentary, titled “Samsara.” The store represents the complicated philosophy of salvation, which was first introduced by the philosopher, Nietzsche. 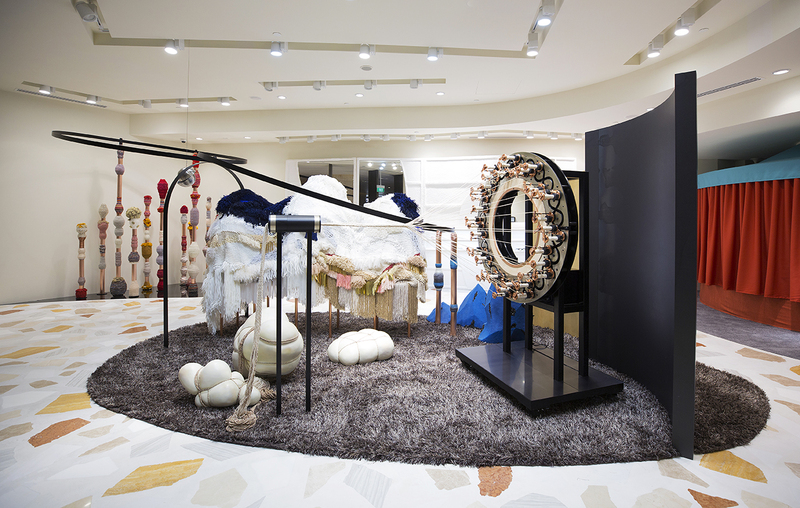 Though somewhat abstract in execution, the showroom reimagines this theme through art installations with the cycle of life being exhibited in different zones. 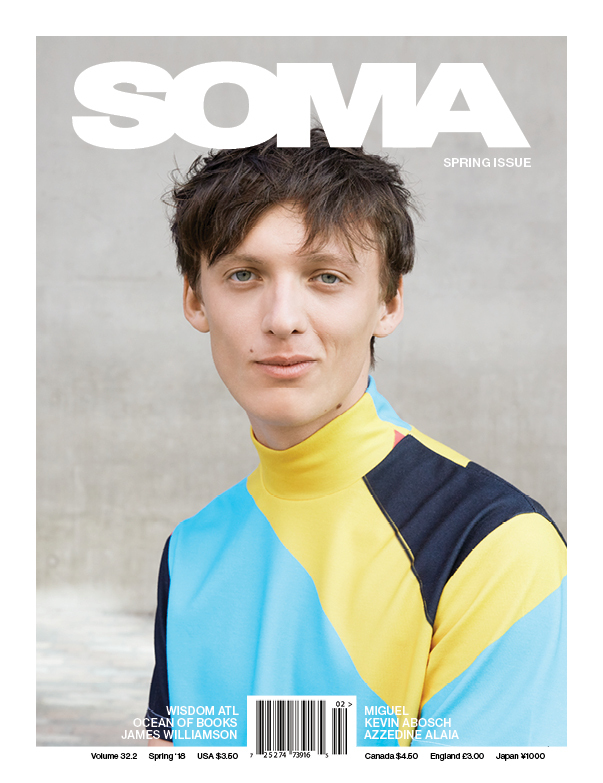 Samsara and Nietzche’s three metamorphoses were borrowed from his book, “Thus Spoke Zarathustra,” and have been adapted for the store concept in an intriguing and sensorial manner. The first zone, the camel, is set up to be a symbol of obedience. The second zone is the lion, which symbolizes power, and the third zone, the child, is a symbol of freedom. A camel hump in the entrance spun by yarn is continuously in motion, representing the cycle of life in the form of obedience. The lion is represented in the form of a chair covered in a flowing mane of golden hair, while the child is depicted in the form of moving baby dolls. 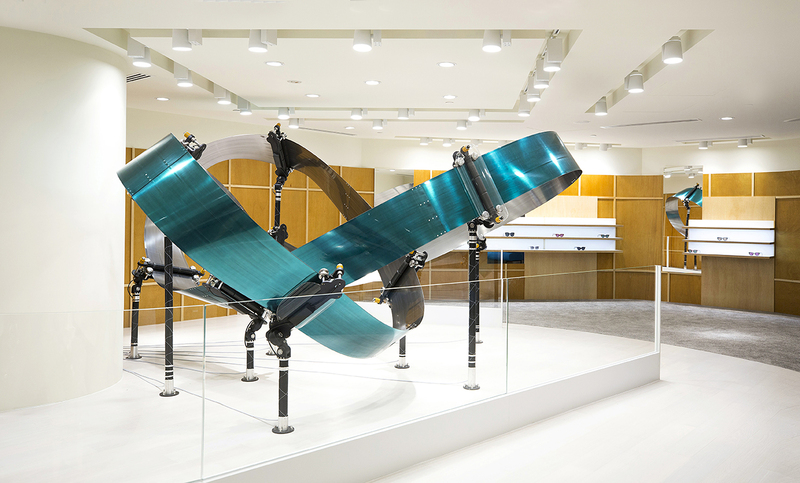 A large sculpture of the infinity sign is also depicted in the concept store. Throughout the space, gorgeous multi-colored glasses are displayed with the design of the store as the perfect backdrop for the unique eyewear that made the brand famous. The Singapore store opening also brings forth the store’s own limited edition sunglasses, called Ami Adam, that feature orange-tinted lenses. The visionary behind the brand, Hankook Kim, was a former English professor and curator with nil fashion experience under his belt. He partnered with Jay Oh, who was a major investor, and then started the iconic brand. To date, Gentle Monster is the only Korean eyewear brand that has made a mark globally, with the product being sold through various outlets, including department stores, duty free shops, and of course, their flagship stores. The brand can also be found in major fashion influencing locales, such as Dover St. and Opening Ceremony. Many of the lenses are made of cellulose acetate, which are uniquely created to be adjustable to fit different facial structures. The brand’s ethos is structured around the philosophy of “innovational high-end experiments,” which can be seen through their eyewear creations and innovative storefronts.